So the following photo drew a number of questions on both its own page and also a few of the signaling forums. As one can see it appears that two conflicting routes have been lined over the same switch at the end of a passing siding, something that appears to indicate some sort of failure in the interlocking, or some photographic trick like multiple exposures. The photo was taken on a Norfolk Southern line in Georgia and it's location is one reason that people are so confused. 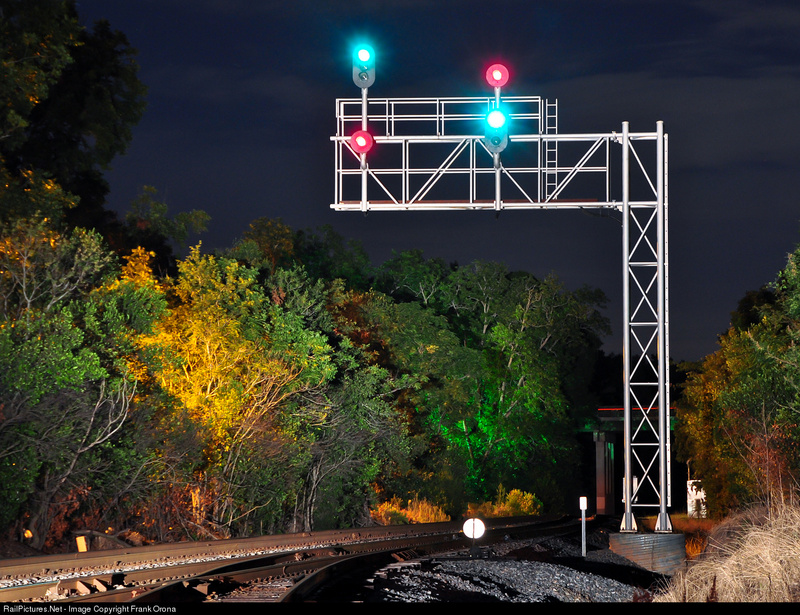 Before I give away the answer I'll first state that the signaling logic is functioning as intended and there was been no photographic trickery. Still, Clear and Diverging Clear appearing next to eachother in this context should be contradictory. Here's I'm going to post another photo from a different part of the country that is a pretty big hint about what's going on here. 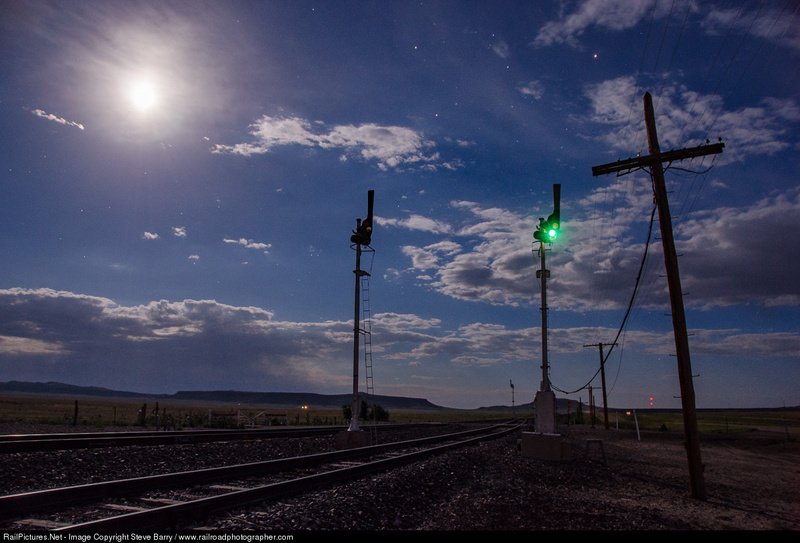 This was taken on the former ATSF Raton pass line where the last operational semaphores in North America are located. 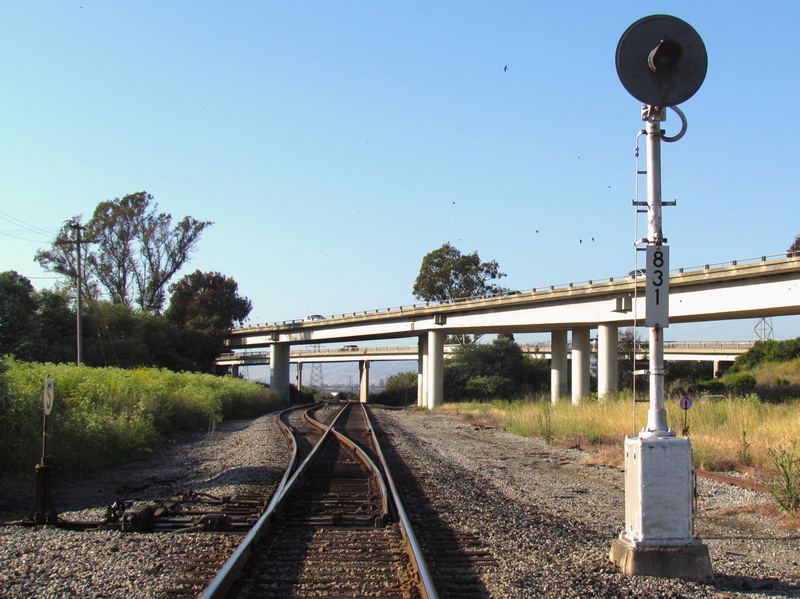 These semaphores are constantly being photographed, but nobody seems to be confused as to why adjacent signals can both display clear like this. Well, there are two reasons. The first is that there is something about Diverging Clear sitting next to a Clear at the end of a siding that just seems plain wrong. The other reason is because the sort of signaling where this circumstance occurs is much more common out west than it is in the east. 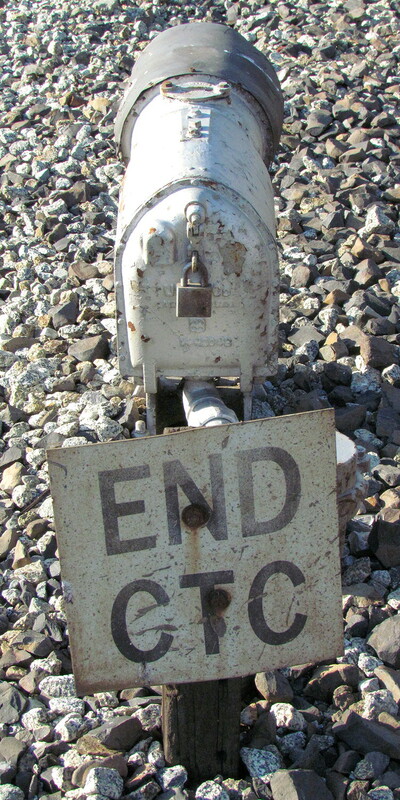 If you haven't figured it out yet the answer to the puzzle is that the signals in both these pictures do not protect an interlocking and are not part of a CTC setup. They are part of an ABS-TWC (aka NS Rule 271) arrangement, that also likely an example of Automatic Permissive Block . The signals operate automatically based on occupancy of the line ahead and, more importantly for this post, trains exiting the siding do so over a spring switch so both routes through the control point are valid. Surprise! It's a spring switch and its also not an interlocking. ABS-TWC / Rule 271 can actually take a couple of forms. The first involves signals placed only on the main track so trains on the main and the siding will encounter the same signal and act accordingly. 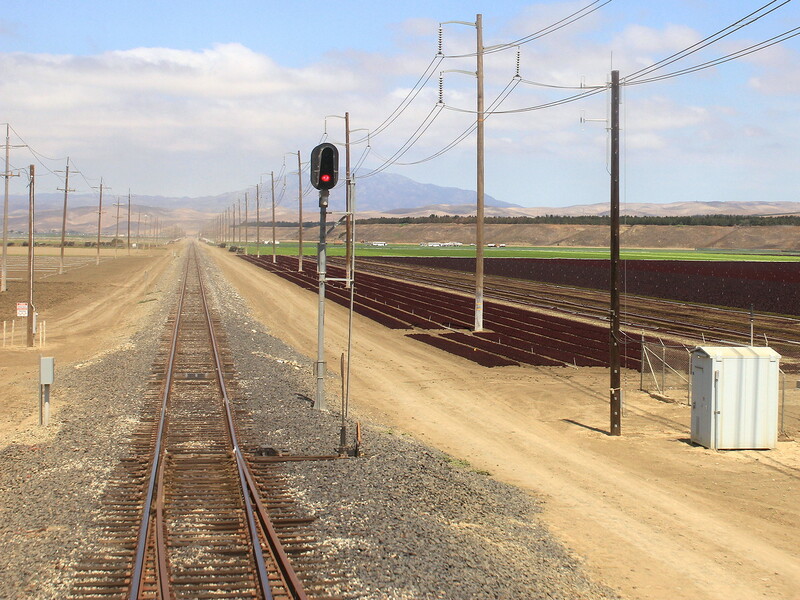 The other places signals on both the siding and the main. Since they are operating automatically and they 'protect" a trailing spring switch, both signals will default to a Clear indication. Out west if there is only one possible route from a signal then the railroads don't bother with a lower head since they are happy to have route signaling handle the switch speed through the timetable. However in the east it is standard practice to provide reduced speed movements with a Diverging or Reduced Speed Clear signal indication. Same situation, one less signal. Well, what's enough of me rambling on. Like I said this arrangement is far more common out west and there you don't see the Diverging aspect. This is why it is absolutely critical to have a good understanding of how traffic control applies to various methods of signaling. Realizing the line was running under Rule 271 with manual traffic control, it is clear how two trains could never take both routes simultaneously.